Cuddle and Kind knit dolls - mermaids, foxes and deer, oh my! 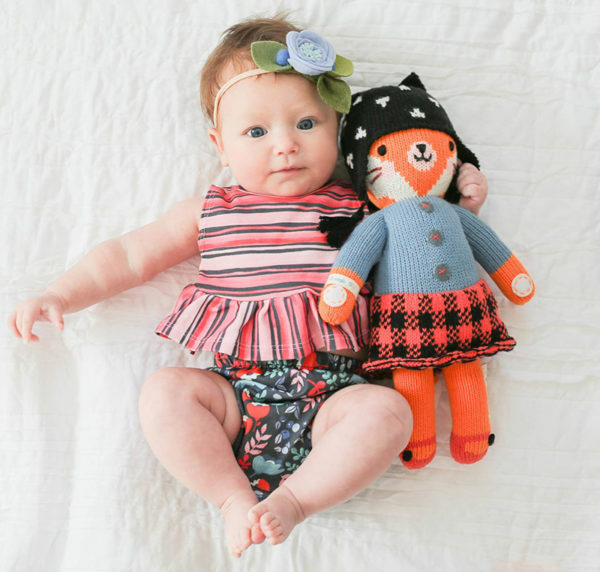 Cuddle and Kind knit dolls – mermaids, foxes and deer, oh my! 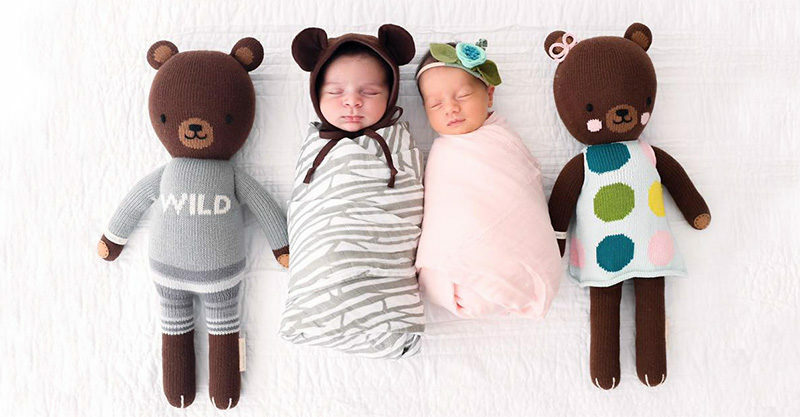 An heirloom quality friend to give and love, the latest lineup of Cuddle and Kind dolls pack a punch of cute – and they make a brilliant baby shower gift! Ethically produced and made in Peru, these beautiful hand-knit high quality cotton dolls are destined to be loved by all. There’s 17 doll designs to choose from – including mermaids. Lovers of ice cream will no doubt hold a special spot for Willow The Deer and Scout The Deer, whose torsos are both emblazoned with sweet icy treats. Who knew deer were so sweet toothed? A gift which keeps on giving, in true domino effect, Cuddle and Kind gives joy far beyond the lucky one who gets to snuggle the doll. For every Cuddle and Kind doll bought, 10 meals are provided for children in need, giving them a full belly to help them thrive and reach their full potential. A staggering 1,151,798 meals have been donated at the time of writing. Looking for an extra, extra special gift? 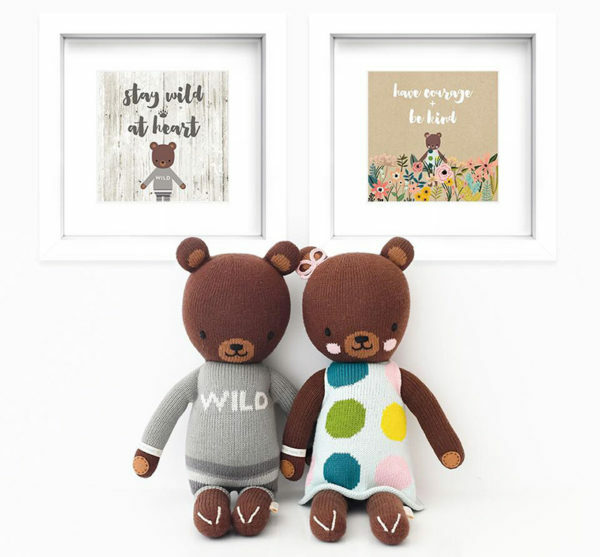 Team your chosen doll with a Cuddle and Kind Inspirational Print. Just US$20, not only will you nab yourself a beautiful coordinating print, you’ll provide an extra five meals for a little person. Cuddle and Kind dolls are available in two sizes – 33cm tall, priced US$48 and 50cm tall, priced US$68. Order direct from Cuddle and Kind.